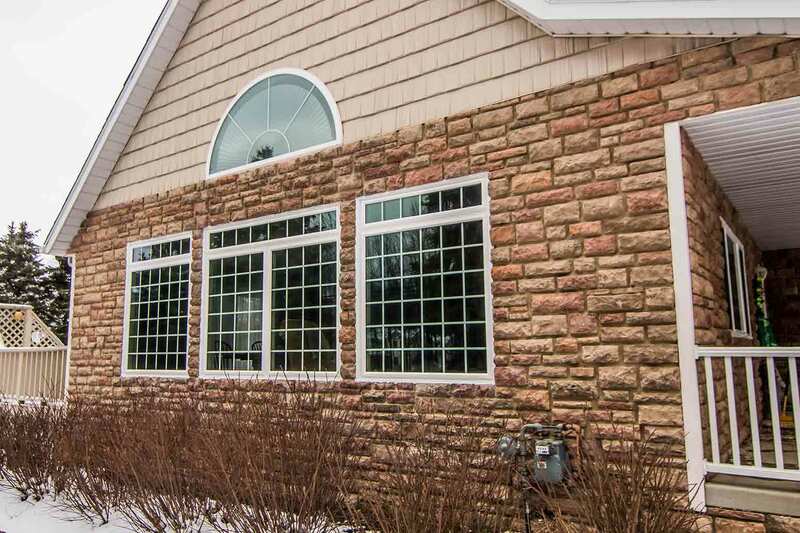 The exceptional exterior products from Universal Windows Direct offers countless benefits for homeowners in Pataskala, Ohio. 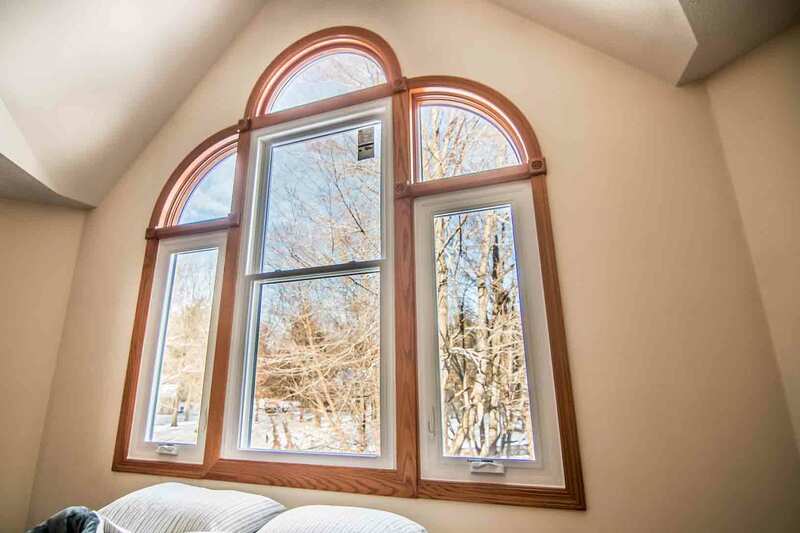 Our replacement windows, entry doors, and vinyl siding are affordable yet beautiful upgrades. They’re available in a stunning palette of colors, wood stains, and styles to fit any personal taste. These products will instantly make your home more modern while simultaneously lowering utility bills. 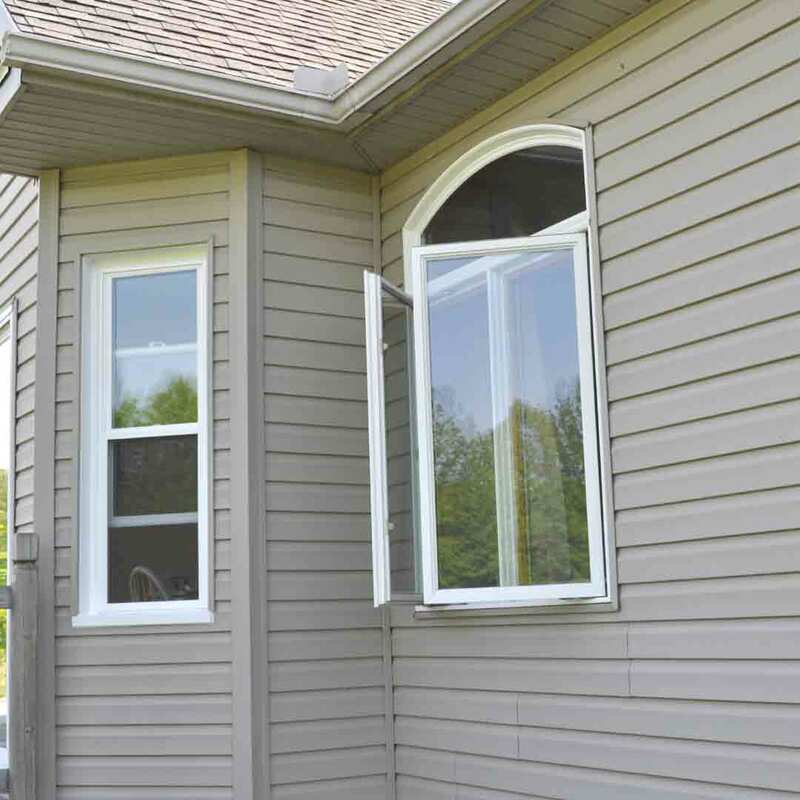 UniShield® replacement windows are one of the best upgrades for the home in Pataskala. It’s a truly remarkable product that doubles as an energy-saver as well as improving curb appeal. With quality materials and aesthetics that will make you look twice, homeowners can’t go wrong with UniShield® replacement windows. UniShield® is exclusive to Universal Windows Direct. It is engineered with a durable vinyl frame that protects the home for decades. Vinyl is an ideal material for replacement windows since it will not fade, warp, peel, or crack. It is also affordable, making it an ideal option for budget-conscious homeowners. 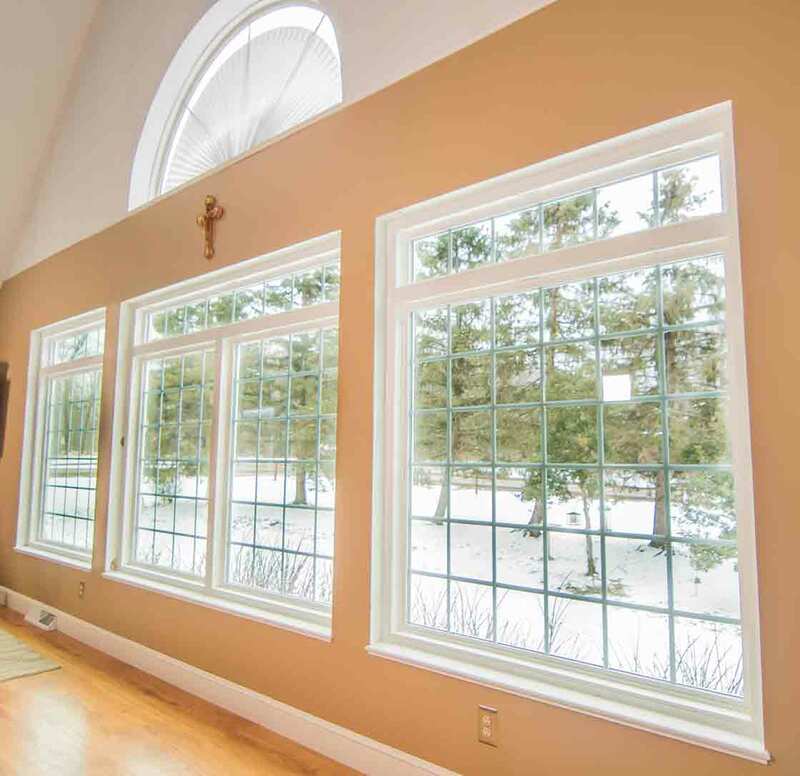 UniShield® vinyl window frames come in a variety of colors, ranging from deep red to classic white. The vinyl frame materials will complement any curb appeal, especially when applied to a thoughtful and custom window design. 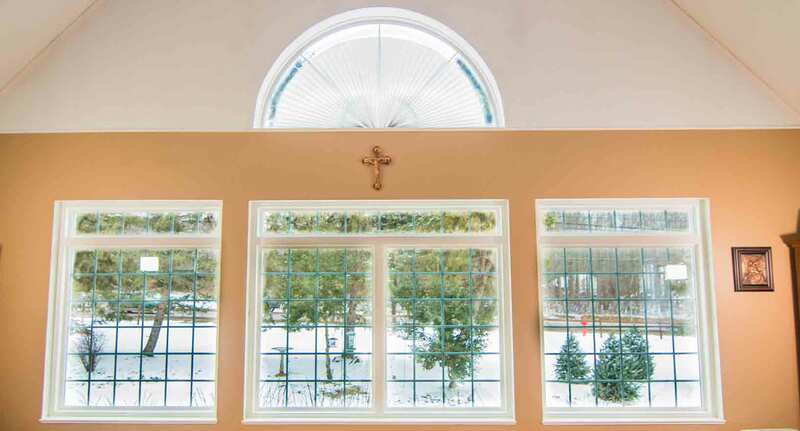 Choose from numerous window styles found on today’s most beautiful and energy efficient homes. Popular window styles include double hung, slider, casement, picture, bay and bow, and garden. Decorative glass also adds extra oomph to curb appeal, with designs including floral, prairie, and double prairie. Select from four tier levels of energy-saving glass packages for maximized comfort. The glass packages use the most energy efficient technology available. UniShield® Plus is the second-tier level with a budget-friendly price tag as well as energy-saving capabilities. This window includes dual pane technology, argon gas, and low-e glazing. This combination of energy solutions results in an exceptionally efficient window. UniShield® windows are certified by Energy Star. In the top two tiers, UniShield® Premium and UniShield® Supreme, the windows include triple pane glass, krypton gas, and multiple layers of low-e.
To further enhance the performance of UniShield®, UWD installs the product to create an airtight seal. UWD offers coverage for UniShield® products through the True Lifetime warranty. This coverage includes craftsmanship, installation, performance, and more. Choose UniShield® replacement windows to improve curb appeal and performance. Contact us now for a free quote. 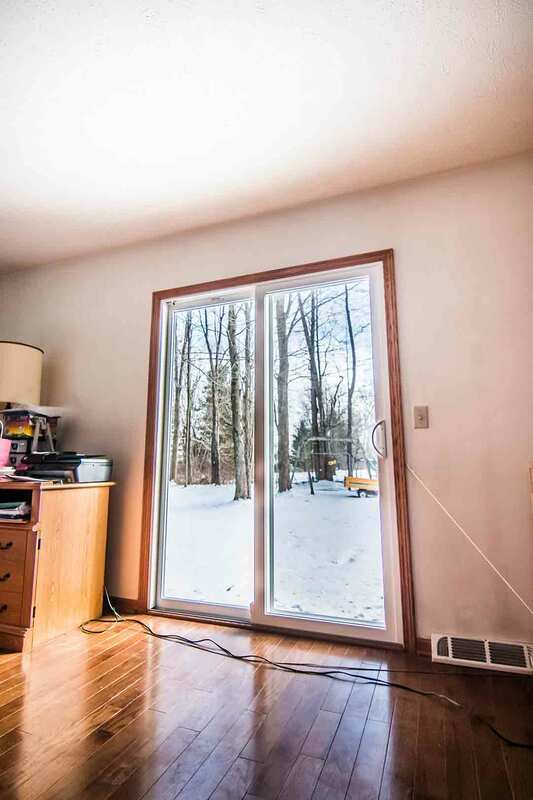 "This is our third set of replacement windows so we were skeptical. To our..."
"Definitely a 5. Would recommend you to anyone at anytime. 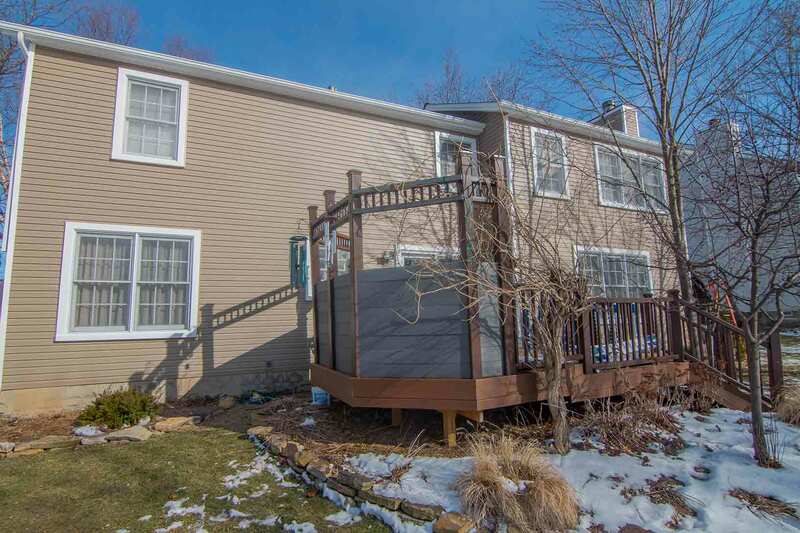 The installers..."
Homes in Pataskala get an instant transformation with UniShield® vinyl siding. This exterior adds an allure to the home with its bold color selections and heavy-gauge plastic panels, engineered with lifelike woodgrain panels. UniShield® is a durable exterior that is easy to maintain. With a color-fade resistance warranty and exceptional attention to details, choose UniShield® siding for your next exterior upgrade. Homeowners love the vibrant color selection with UniShield®. Find trendy and classic colors to achieve a dream exterior. Colors include platinum gray, cape cod gray, mystic blue, juniper ridge, maple, vintage wicker, and more. Architectural colors to enhance character of the home includes autumn red, harbor blue, English saddle, somerset wheat, and more. Those who are focused on adding character—even to newer homes—can find solutions with UniShield® siding. 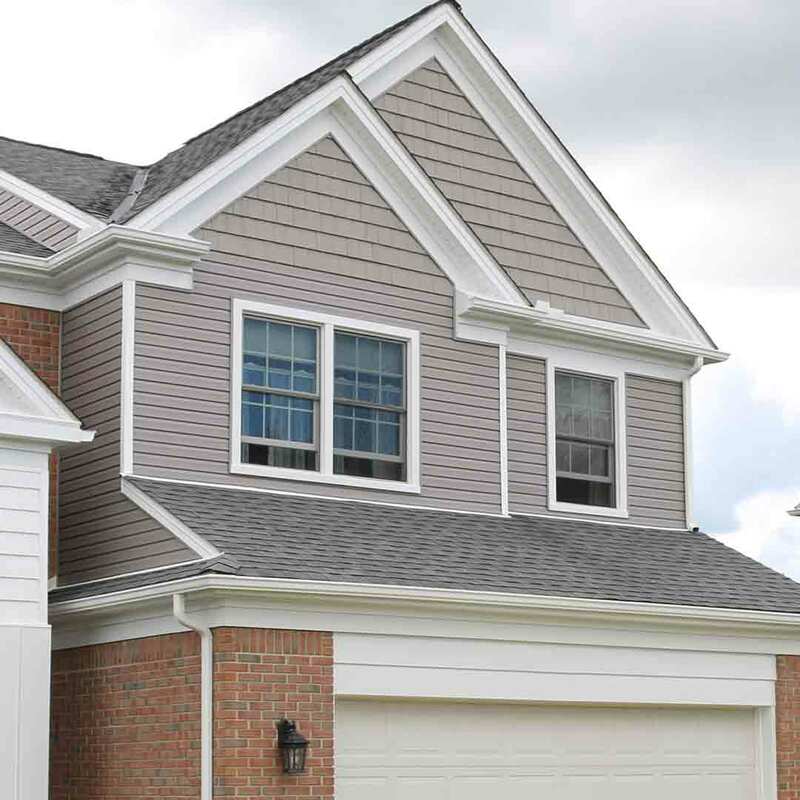 UniShield® offers vinyl scallops, vinyl cedar shakes, and soffit to top off a siding upgrade. These upgrades appear handcrafted and they’re designed to look like authentic wood. UniShield® Trimworks accessories is yet another way to add character, which captures the fine details of real wood. This upgrade adds elegance to areas of the home such as windows, doors, entryways, and more. UWD’s siding installation ensures UniShield® continuously performs throughout the year. 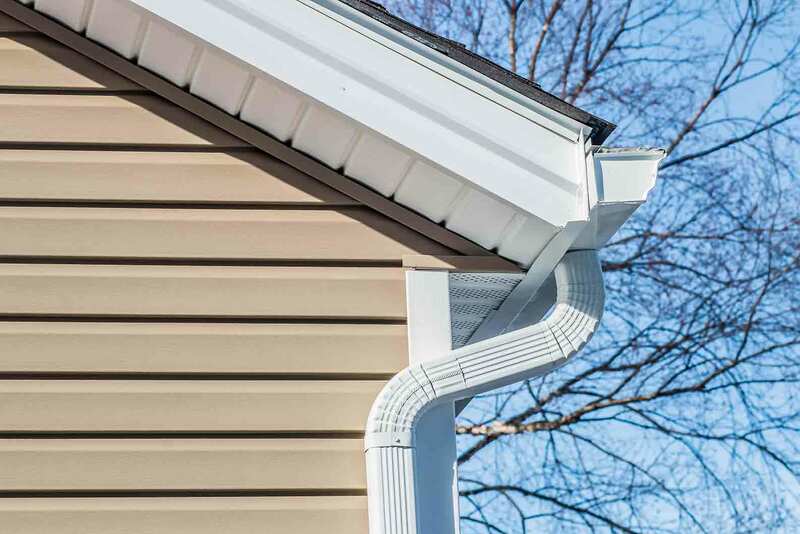 The installers envelope the home in durable vinyl siding to protect it form the elements and moisture damage. Choose insulated panels for extra thermal performance and sound reduction. UniShield® vinyl siding is covered under UWD’s True Lifetime warranty. It also includes a 20-year color fade protection warranty to guarantee vibrancy. Exterior doors from UWD are built to last, withstand the elements, and provide everlasting beauty. UWD’s fiberglass and steel entry doors are designed with the highest quality materials to secure homes. 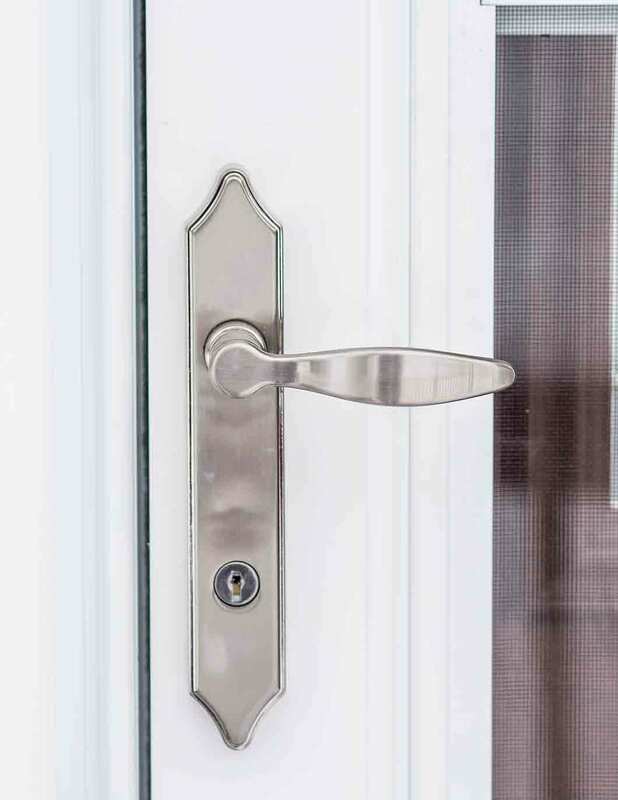 The durable frames keep your family safe, while a variety of hardware options add extra security as well as style. Choose from an array of leversets, handlesets, and locksets. For keyless entry, consider touchscreen deadbolt or keypad deadbolts. Hardware finishes include polished brass, antique brass, satin nickel, and aged bronze. UWD’s entry doors are painted or stained your ideal color upon installation. Popular color options include brown, light grey, black, classic blue, clay, and burgundy red. Wood stain options include natural oak, fruitwood stain, colonial oak stain, and more. Homeowners are encouraged to order entry doors primed, which allows for applying the ideal paint or stain color upon delivery. Glass options are available to further decorate the door while adding something special to the exterior. 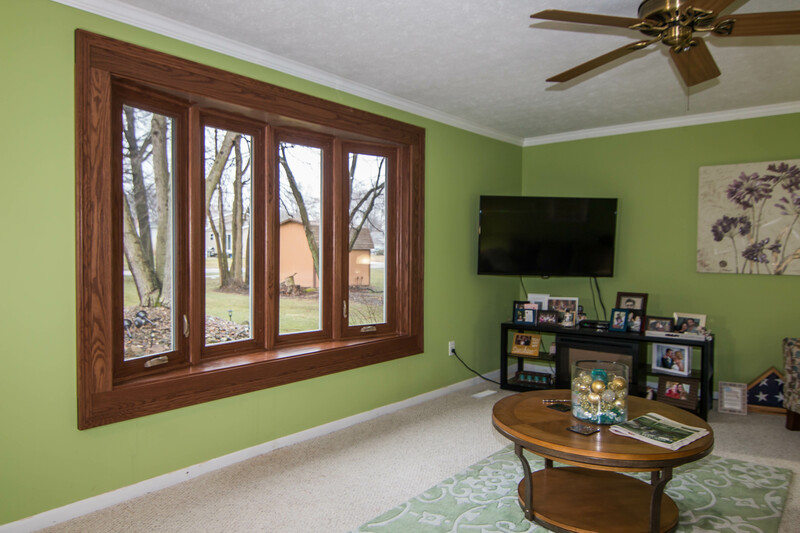 Transom windows are available in a variety of styles, and sidelites include low-e glass to block heat flow. A new steel or fiberglass door is low maintenance. Fiberglass is designed with a reinforced skin that is resistant to corrosion, termites, splintering, and more. These doors do not require painting, sanding, staining, and any other upkeep requirements of traditional wood doors. 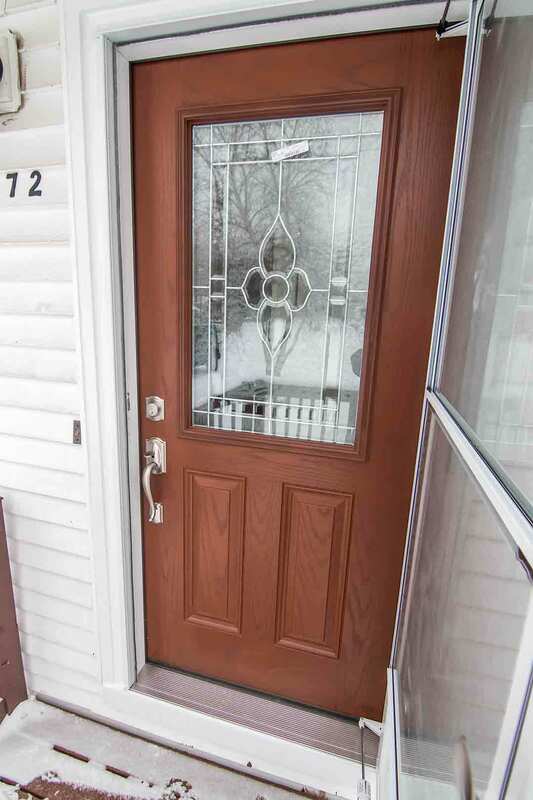 Homeowners in Pataskala, Ohio love their doors for years to come. These doors are professionally installed by UWD, which creates a seal against the elements in combination with durable weatherstripping. A polyurethane further enhances the performance of the door by maximizing thermal efficiency. 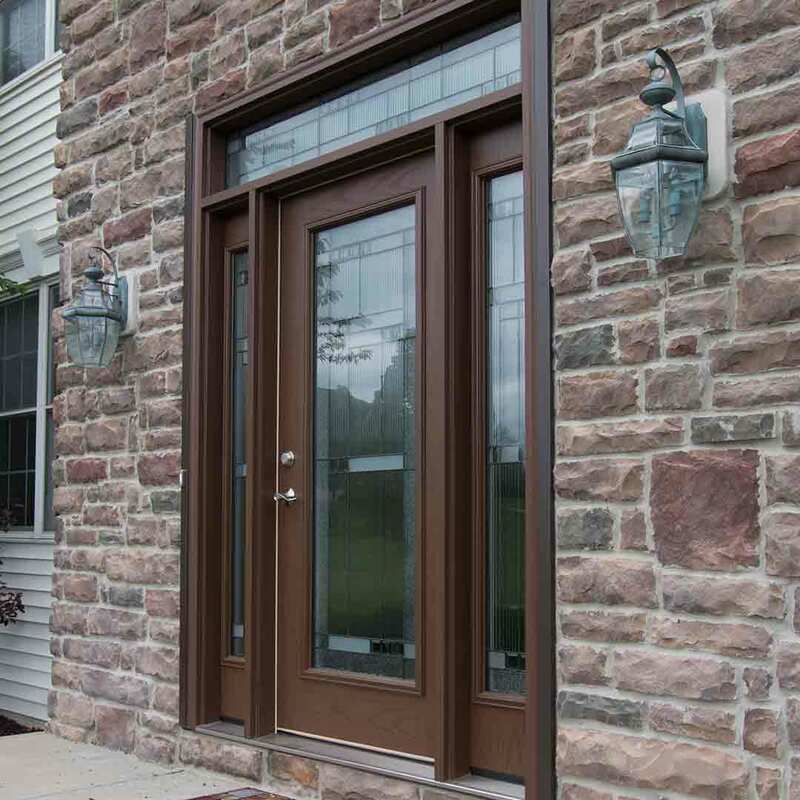 A fiberglass entry door is an elegant an energy efficient home improvement. Choose UWD for beautiful and affordable exterior doors.